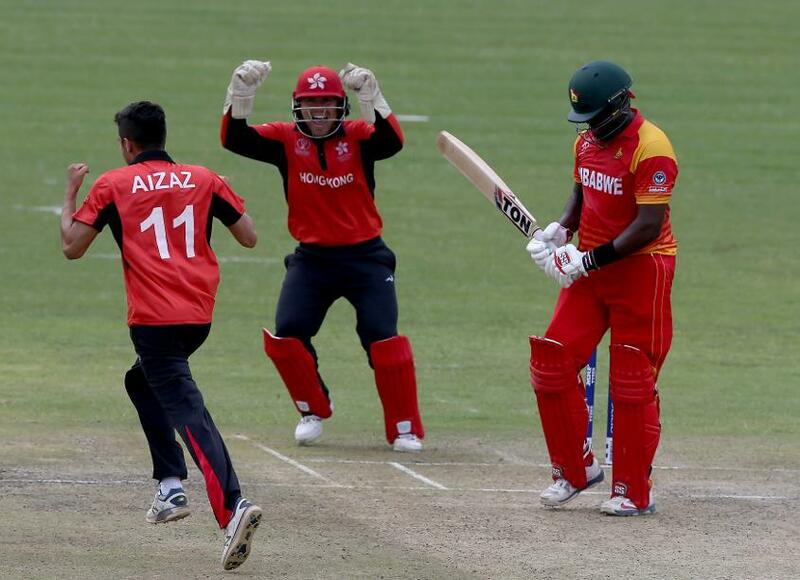 Hong Kong pacer Aizaz Khan says his teammates are ready to take on Pakistan and India at the Asia Cup and doesn't rule out an upset result or two either. Hong Kong qualified for the six-nation tournament after toppling favourites United Arab Emirates by two wickets in the final of the Asia Cup Qualifiers in Kuala Lumpur recently. "It is a great feeling. Everyone is happy and we did really well over the last two weeks to qualify. Our team is very excited for the games against India and Pakistan. They are the big teams, but we are here to compete so we are really excited," 25-year-old Khan, who returned 5/28 in the final of the qualifiers, told Khaleej Times. It was a nail-biting encounter between @CricketHK and @EmiratesCricket in the final of the Asia Cup Qualifier. "We have been training hard and we have got a very balanced side, we have got some good batsmen and we have a good bowling line-up as well, so I think we will do well. We have played quite a lot in the UAE actually, so we are quite familiar with the pitches. "Everyone is really excited. They are all focused as well, so we know we are playing against some big teams so we just plan to go out there and enjoy the game. This is cricket, we are here to compete and hopefully, we will do well and there might be an upset." Hong Kong's first test will be on Sunday, 16 September against Sarfraz Ahmed's Pakistan. Khan is looking forward to the game, especially because he will go up against his hero, Mohammad Amir. "I follow Mohammed Amir quite a lot and it will be my first time playing against him. I am really excited. It is a great feeling to play with your hero. I never thought I would play against him," he gushed.